nDash.co, the world’s first open content community platform, announced that it has become a Certified HubSpot Connect partner. Last year, nDash released a beta integration enabling HubSpot users to push completed content from nDash for seamless publishing. Since launching in 2016, the company has gained significant traction from HubSpot customers and agency partners, who leverage nDash to generate premium written content through a vetted community of professional copywriters and subject matter experts. CEO Michael Brown attributes the growth to the increased specialization of content creation. As a certified partner, nDash is now prominently featured in the HubSpot Connect directory alongside brands like Salesforce, Slack, and Facebook. 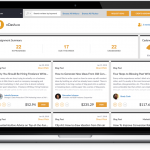 The HubSpot news comes on the heels of several other platform enhancements in 2018, headlined by the debut of nDash for Internal Teams, which gives brands the ability to manage content creation with both internal and external writers. With the formal HubSpot partnership in place, the company expects customer growth to further accelerate in 2019.
nDash is the world\’s first open content community platform. 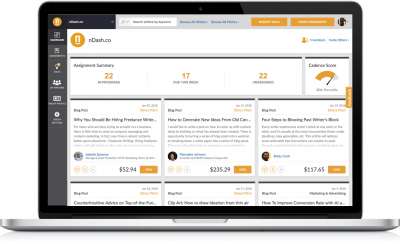 Thousands of brands use nDash to build and manage elite writing teams comprised of in-house talent, freelancers and thought leaders. With a rapidly evolving set of features, nDash helps marketers generate compelling topics, streamline the content creation workflow, and rise above the noise. 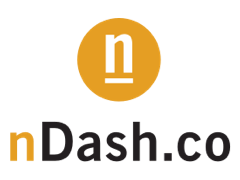 Based in the greater Boston area, nDash was founded in 2016 by a passionate group of former writers, marketers and crowdsourcing enthusiasts. Learn more at www.nDash.co.